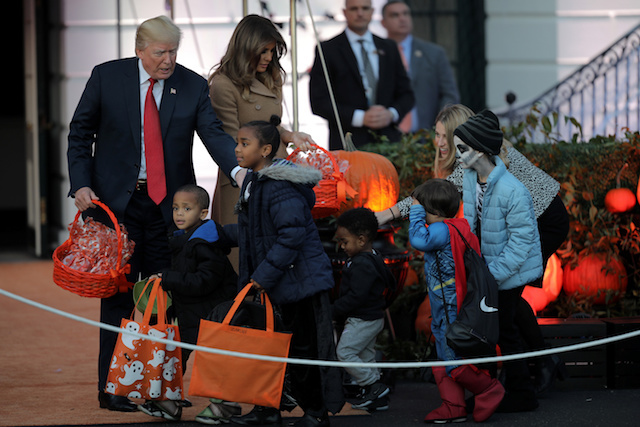 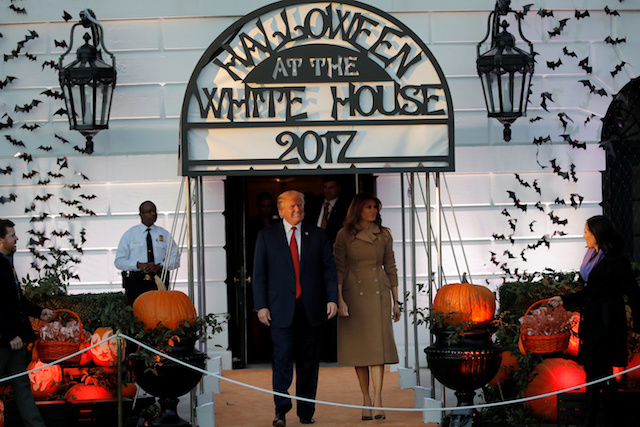 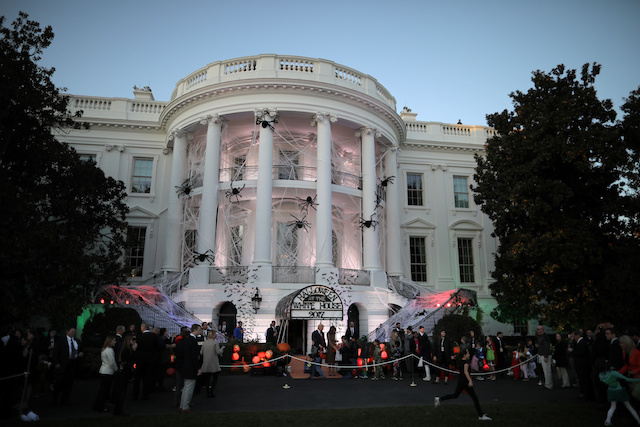 Melania Trump celebrated Halloween early Monday as she dressed up in a gorgeous beige fall coat to hand out treats to kids at the White House with President Donald Trump. 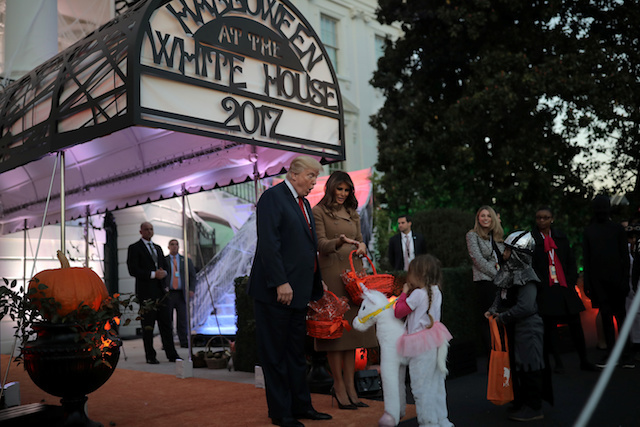 She completed the perfect fall look with a pair of black high heels. 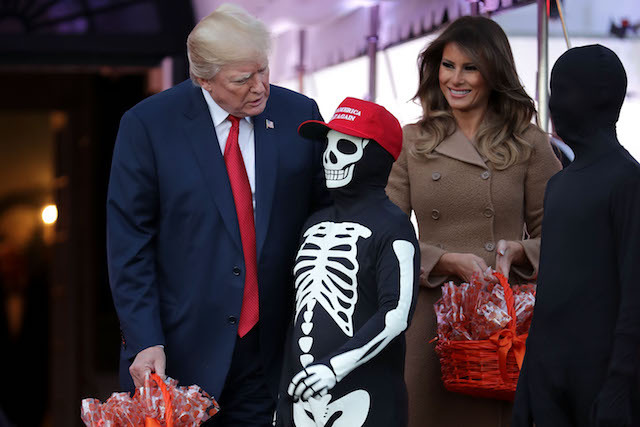 Other pictures and clips from the night have surfaced on Twitter of the first lady’s priceless reactions to some of the kids costumes. 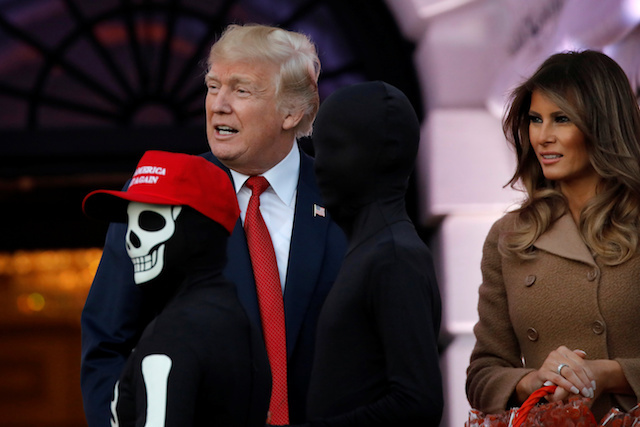 Melania Trump reacts to TRex costume.